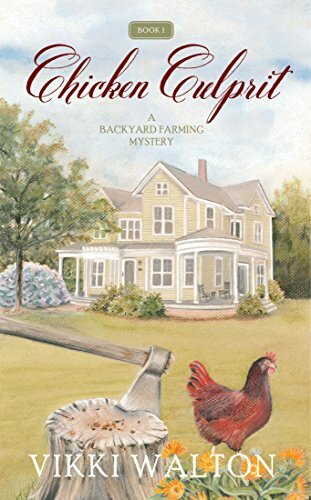 Today, I am hosting a REVIEW for CHICKEN CULPRIT, the first book in the Backyard Farming series by Vikki Walton. Yet, before Anne's completely settled in, her neighbor is found dead in his compost pile. What’s worse is that Anne’s quirky young neighbor, Kandi Jenkins, could be the killer. When Kandi begs for her help, Anne feels she has no choice but to help the young woman. However, she finds herself quickly at odds with the local sheriff. And while she uncovers more of the community's secrets, she's also exploring her awakening feelings for Sam Powers, the town's deputy coroner. This was definitely a book that took me by surprise! I typically only read cozies that fall within my interests, which explains why you'll see me review a lot of them featuring books, libraries, food, and sometimes crafts. 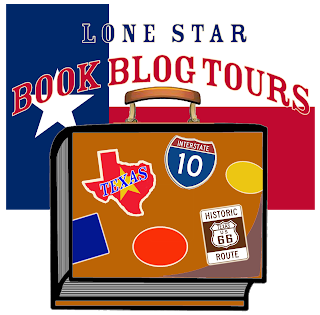 I was largely intrigued by the author's giveaway for this tour, which included the winner's ability to help create a character in the next book. That is an absolutely fantastic idea and I just knew I needed to give this one a shot and read it in anticipation of the next book! And I can honestly say that I'm so glad I did! Walton's smooth and casual writing style really makes you feel a part of this community. Readers get to know Anne's neighbors right alongside her and follow her along as she makes the decision to help Kandie. And there are plenty of shady individuals lurking around in this neck of the woods! I thoroughly enjoyed that Anne wasn't the typical amateur sleuth that you see in many cozies who is overconfident in her abilities and eager to a fault. 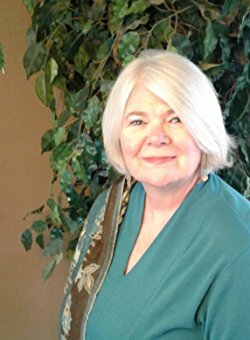 Anne initially doesn't want to get involved and for good reasons, but gradually, she determines she does has something to offer and proceeds accordingly. While Kandie's use of the word "like" was extremely annoying as the story began, the resulting friendship Kandie and Anne shared quickly overshadowed any frustration to the point that it almost became background noise by the end. Despite their many differences, these two women bonded together to create a truly heartwarming and unforgettable relationship that I am looking forward to seeing more of. There are many humorous and witty moments along this twisting and turning roller coaster of a mystery with an ending that I didn't see coming! This was a great start to what sounds like a promising series and is an absolute steal on Kindle. I would highly recommend this one for anyone simply looking for a place to start with cozies, but if you're like me and you have read quite a few of them, this one was certainly enjoyable and well worth the time. And please be sure to enter the giveaway because I can't wait to read what character a fellow reader might create! One winner will receive a signed copy of the book, a simple book bag, a $25 Amazon gift certificate, and some other goodies (tbd). The author will also allow the winner to provide a character for her next book (first and last name, description, etc.) They won’t get to pick if that character is the killer, victim, or innocent bystander. And they will receive a mention in the next book’s acknowledgement page. 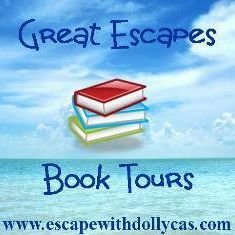 Many thanks to Great Escapes book blog tours and Vikki Walton! It was an absolute pleasure reading, reviewing, and hosting! And be sure to check out the other stops on the tour for more opinions and extras! Thank you so much for the opportunity to read and review! Can't wait to read more!